Isabel M. Martínez is a Toronto-based artist who spent her formative years in Santiago deChile. Her work deals with the aspect of experience where the real the known and theimagined blend. Perception is a recurring theme within her practice. According to quantum mechanics we have forty conscious moments per second, and our brains connect this sequence of nows to create the illusion of the flow of time. So, what would things look like if that itermittence was made visible? This body of work explores that hiccup, that blink, that ubiquitous fissure in the falling-into-place of things. In my work I attempt to articulate something in between the freezing of time—that soften characterizes photography—and its relentless passing. I hint towards temporalities that are fluid, speculative, and somewhat loose. I am looking for the line that divides the finite (probability) from the infinite (possibility). If time is a succession of instants, I want to see what lies in between them. I am after the gaps between instants of consciousness. 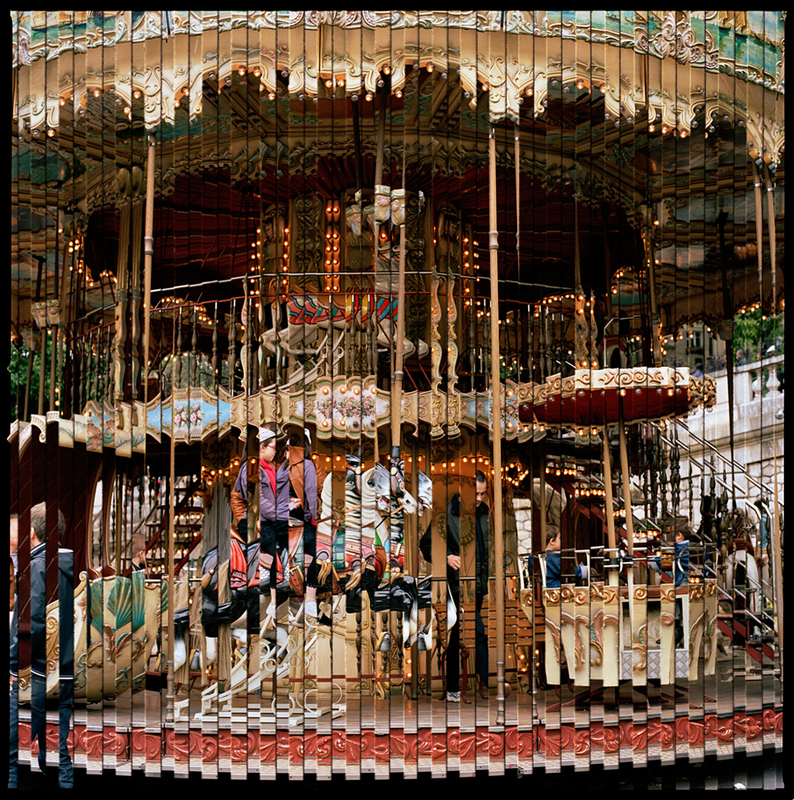 The photographs in Quantum Blink are composed of two exposures taken instants apart. The striped pattern is the result of masks placed in-camera, this feature allows me to blend two images together and at the same time keep them from fully fusing onto one another. Each photograph in the series holds a brief sense of continuity, almost like an animation, slightly cinematographic. The portraits depict subjects performing mundane actions during moments of reflection and observation—however, though providing a notion of movement and progression, the beginning and end of those actions isambiguous and indistinguishable. In person, these photographic works appear to shift and change depending on the distance and the angle from which they are seen; an illusion of volume may become apparent, while other times it may seem as though there are three images at play.